Oh, the detail on this little beauty! 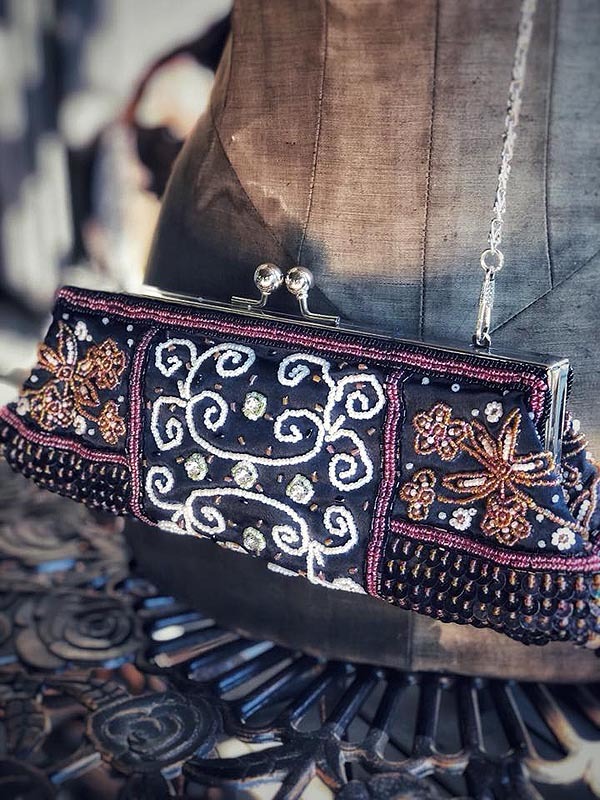 Both sides of this little clutch purse has been meticulously beaded with varied colored seed beads that look amazingly brilliant against the dark backdrop of the purse. 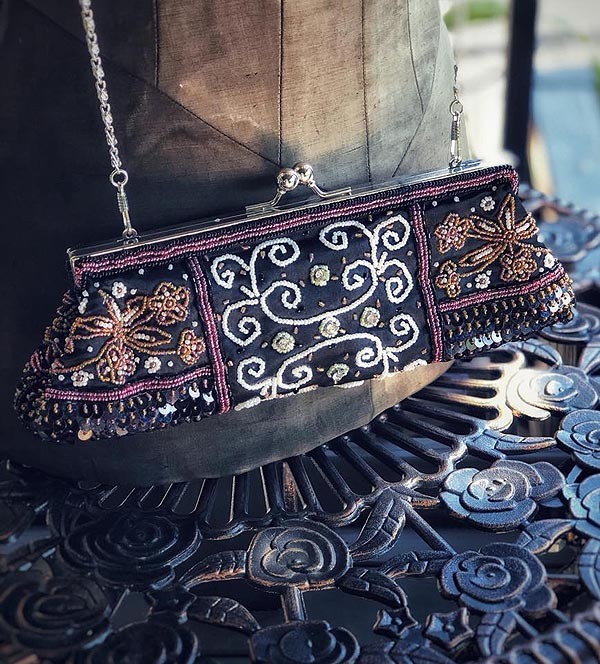 Shades of dark mauve, gold, white and clear crystals against a rich back blackdrop with silver metal details. 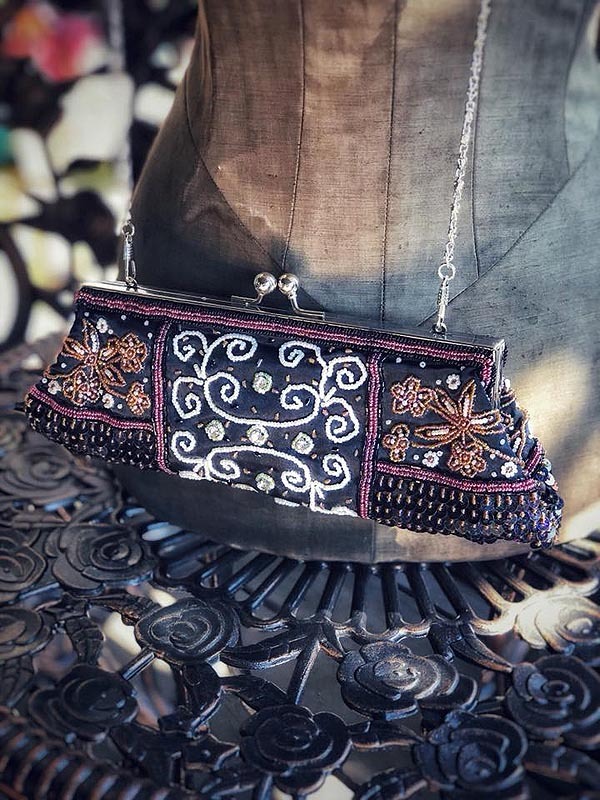 Features a silver clasp and extra long silver chain. Interior is satin lined.